The book is available at Carmichael’s Bookstore, my wonderful former employer and independent store of choice. I’ve mentioned it before, but it’s also purchasable directly from publisher or at Amazon. Rising Shadow has issued a highly favorable review of the collection. The short blurb on my piece states “This story has a good and gripping ending.” I’ll take it! 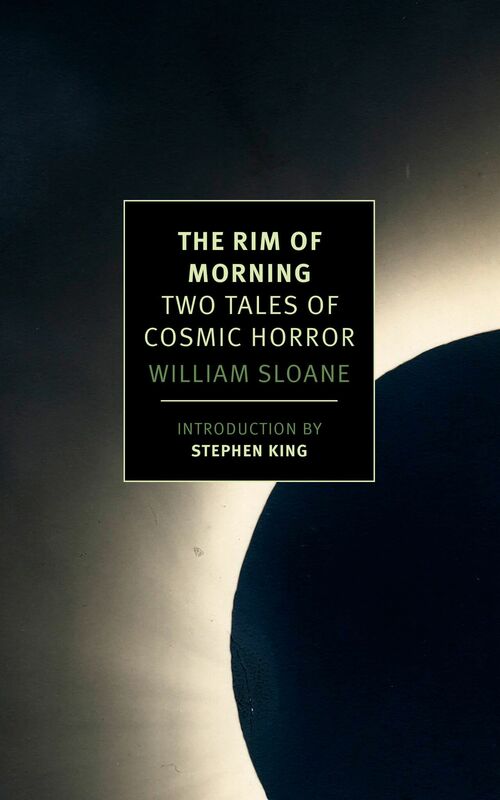 I have some commentary on a new edition from one of my favorite publishers, New York Review of Books, of William Sloane’s two novels, collectively titled “The Rim of Morning”, over at Weird Fiction Review. 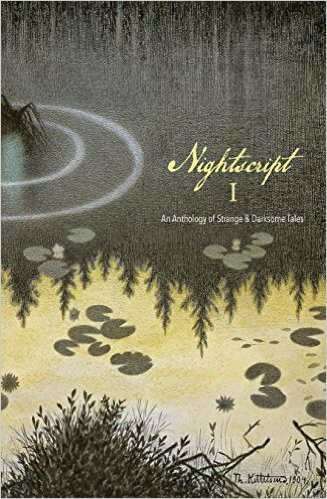 Also, I have received my contributor copy of Nightscript. Photos of the cat doing cat things in the same frame as the book shall appear forthwith. On a related note, I hear tell that Nightscript editor C.M. Muller is scheduled to appear on Scott Nicolay’s fantastic podcast, The Outer Dark, on Oct. 27. I briefly met Scott at NecronomiCon and have been listening to his show ever since. It provides some excellent in-depth looks at writing process, genre, specific works, and other related matters. I just received a copy of his novella, “_after_” from Dim Shores, and I can’t wait to get into it. I’m going to the Merrimack Valley Halloween Book Festival today. You should too. Do note that the event is free but ticketed. I’ve got a few words in the weird fiction episode of SF Signal’s Mind Meld series today, alongside several other folks such as Ann Vandermeer, Laird Barron, Mike Allen, Ross Lockhart (who I got to meet briefly at NecronomiCon–super friendly! ), John Klima, and more. Q: What makes weird fiction so weird, and why do we love it? I’ve also recently completed a review of an excellent new release from New York Review of Books, which should run soon. Last, this coming weekend I’m planning to truck it on up to the Merrimack Valley Halloween Book Festival, where several of my favorite authors will be speaking and signing. 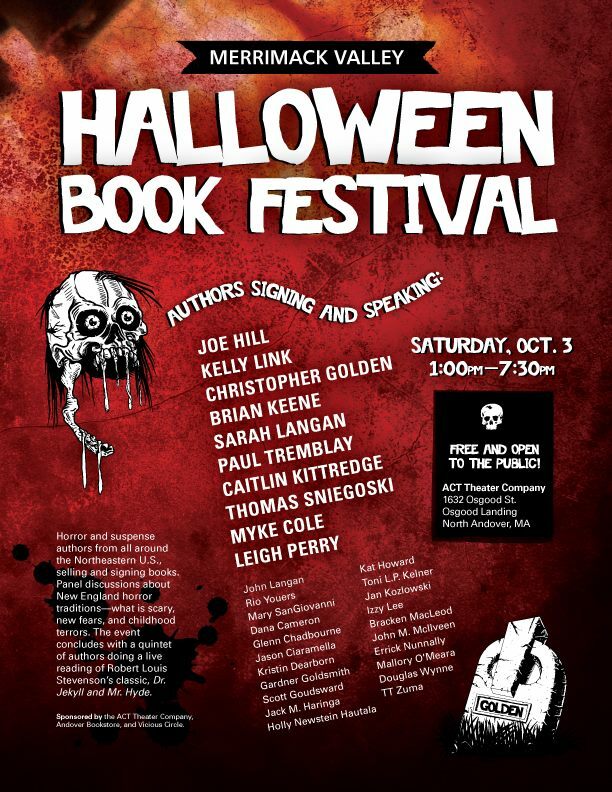 I’m going (as a fan) to The Merrimack Valley Halloween Book Festival, which looks to be promising. I’ve had the privilege of meeting several of the invited guests before, at NecronomiCon and readings elsewhere. But although I have signed editions of all of her books that I know of (except one small collector’s edition of “Stone Animals”), I have not yet gotten to convey my appreciations in person to Kelly Link, which I hope to do at this event. “Two Houses”, from her new collection (and previously published elsewhere), is one of my favorite short stories of the last decade, maybe of all time. I glowed about it some over in this review. Although she’s one of the most consistently top-notch authors I know of, that piece really deserves to be remembered as much as “The Specialist’s Hat,” which seems to be the go-to story when talking about her fiction. Here’s a fun anecdote and brainriddleteaser: the first thing anyone says in the story I’m working on right now is, in fact, literally nothing at all. Readingwise, I’ve been consumed by a spate of works from New York Review of Books, most recently William Sloane’s “The Rim of Morning,” due out in a couple of weeks. More on that shall be forthcoming forthwith. Pursuant to which, C.M. Muller’s Nightscript is out soon. Witness below the fantastic table of contents. I was lucky to be able to briefly say hello to Daniel Mills and Michael Wehunt at NecronomiCon 2015 at a reading of Aickman’s Heirs (Undertow). I’ve read their fiction before and enjoyed it, and I can say the same about several others in here.